EDIT February 21, 2019: This is no longer an April Fool’s Joke! PYL *has* been revived by ABC and is casting now! Click here to learn more. Created by Bill Carruthers and Jan McCormack, Press Your Luck, premiered on American television in 1983. 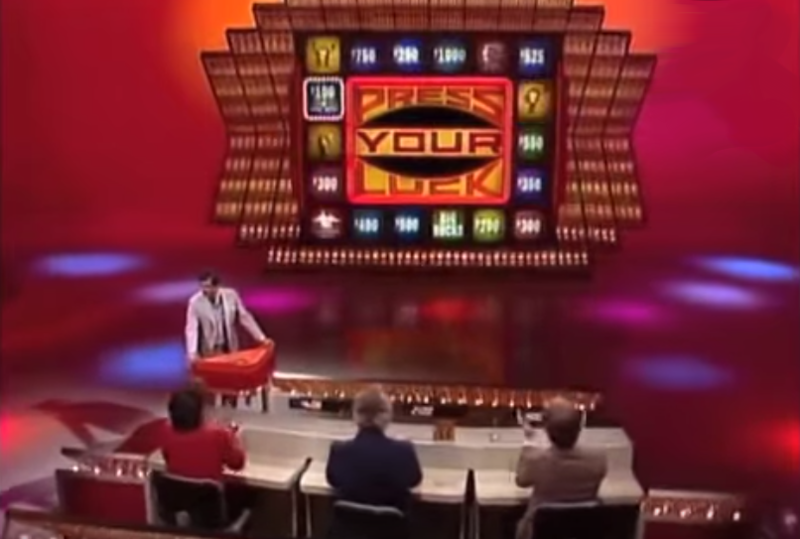 In the show, three players use spins on a wheel to answer trivia questions and collect cash and prizes while trying to avoid the “Whammy” who bankrupts a player. The show was hosted by Peter Tomarken and announced primarily by Rod Roddy. Pulling from the storied history of the show, ABC’s Press Your Luck is amping up the most beloved-parts of the format for a high-energy, primetime time slot. Seemingly inspired by the success NBC’s The Wall, each episode of ABC’s PYL will have millions of dollars on offer—if contestants can truly test their nerves and press their luck. Each hour-long episode will start with 5 players, and after each round, one player will be eliminated from play. The last player standing will face the Big Board solo to try to Beat the Whammy for a massive cash jackpot. An interactive second-screen experience will be simulcast on the ABC website and through a special Press Your Luck Live! app, where audience members can try their hand at the Big Board during commercial breaks and win fantastic prizes. Scott Rogowski, host of HQ, has been contracted to host the second-screen experience. “I’m excited to get down to the nitty-gritty,” said Rogowska. The show will air this summer on ABC. Sorry, kids, this is an April Fool’s joke! I made the logo, so ABC, if you’re reading this, I am available for hire!